Stevens Bikes: strong performance at a great price.Those who have ridden a poor quality frame will appreciate the assuring stiffness of this frame. The butted aluminium frame in Lightning Red is complimented perfectly by a carbon fork with oversized shaft. 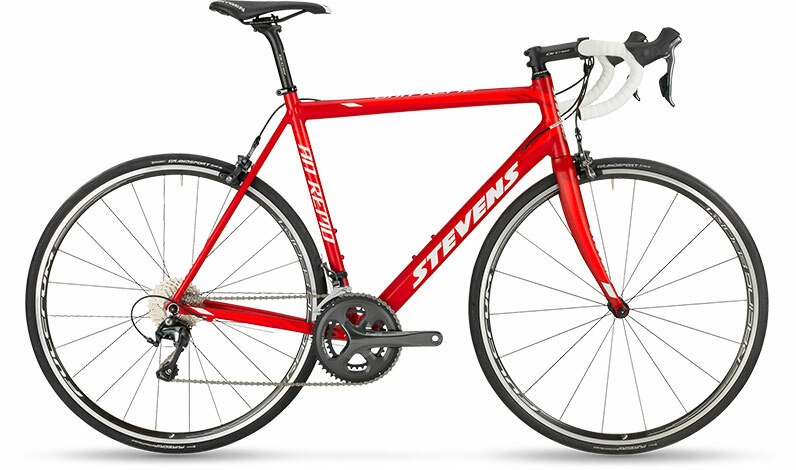 Even in this price range STEVENS offers a 2×10-speed compact drivetrain with Shimano’s Tiagra groupset. A well-rounded package completed by a shiny black Oxygen finishing kit and elegant internal cable routing.